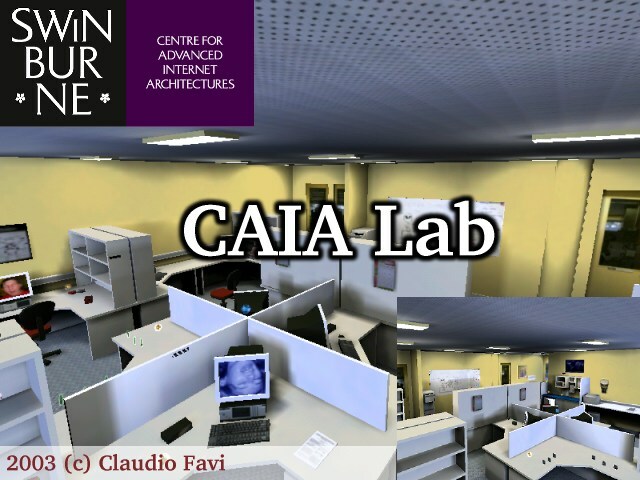 In 2003, Claudio Favi was tasked with reproducing the original CAIA lab, AS327, in a Quake III Arena map. After 12 weeks of careful construction and intensive playtesting, it was done. 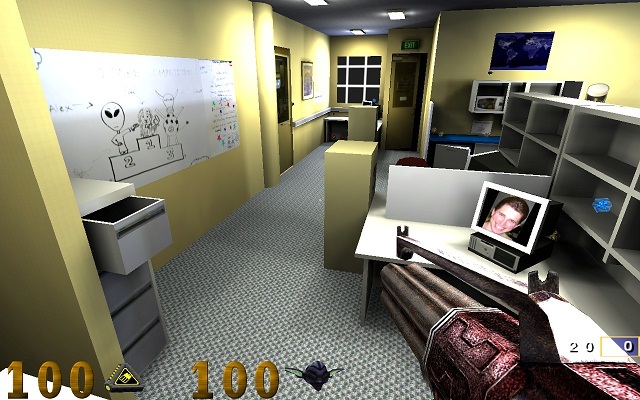 The map features custom textures, sounds and music, produced as part of the project to make the map feel more like CAIA. 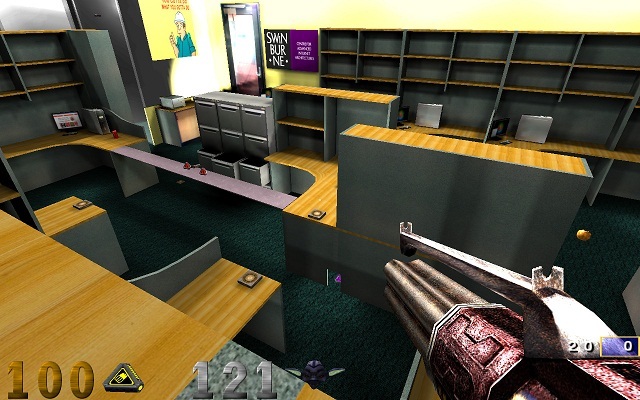 The map has a number of confined areas, allowing for intense duels and quick escapes. 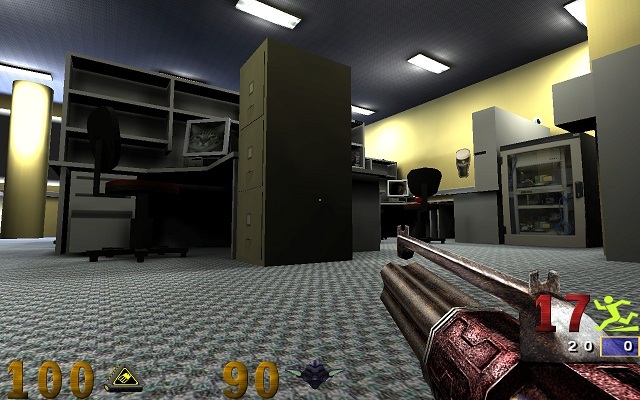 Some concealed teleporters will take you to places of interest around the map, but you'll need more than a teleporter to find the BFG. Nine years later, Chris Holman constructed the successor, EN605. The EN605 map is larger, with more open areas to do battle in. A couple of high vantage points allow for picking off enemies from a distance, but not without being entirely exposed. 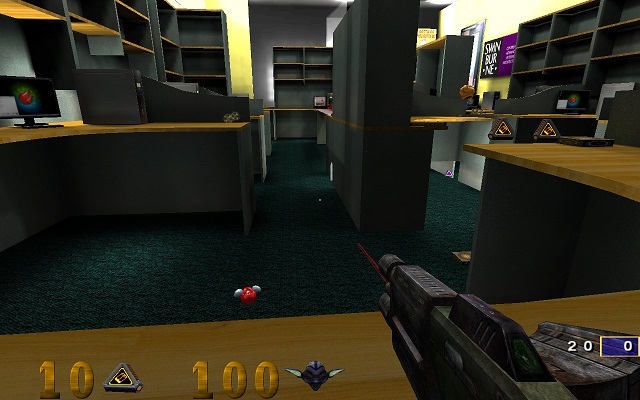 The maps are playable in Quake III Arena and derivaties (eg, OpenArena). 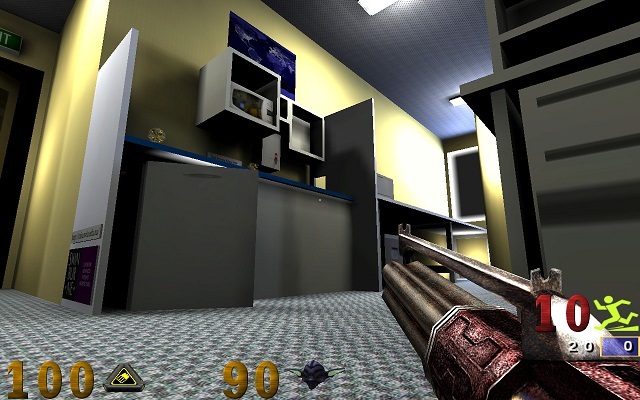 A copy of the original Quake III Arena installation media, or the pak0.pk3 asset file from an existing installation. Linux: Download the installer scripts for your platform from ioQuake3 website or use your favourite package manager to install it (eg, `apt-get install ioquake3`). 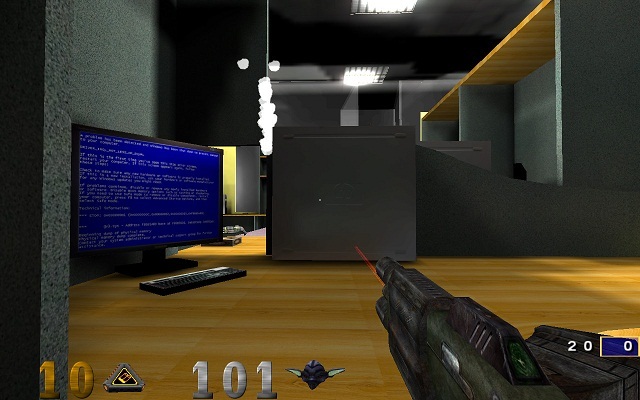 FreeBSD: build the port (games/ioquake3) or run `pkg_add -r ioquake3`. Note: the installers will ask for your Quake III Arena CD. If you provided it, you do not need to copy the pak0.pk3 file in this step. To start a single player game, at the main menu open the console and type "\map caialab3" or "\map caia-en605". If you do not own Quake III Arena, the maps can be played in OpenArena as well, but watch out for some of the (NSFW) player skins in OpenArena. Instructions for OpenArena can be found on the OpenArena website. 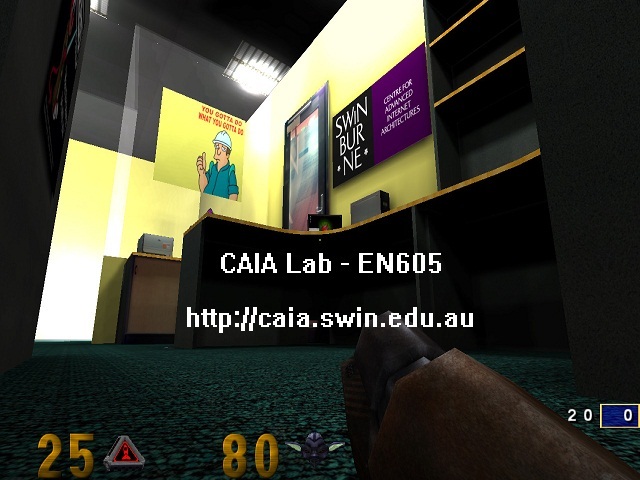 caialab3.zip - AS327 map, 6.36MB, 4 files. en605-v1.0.zip - EN605 map, 12MB, 1 file.